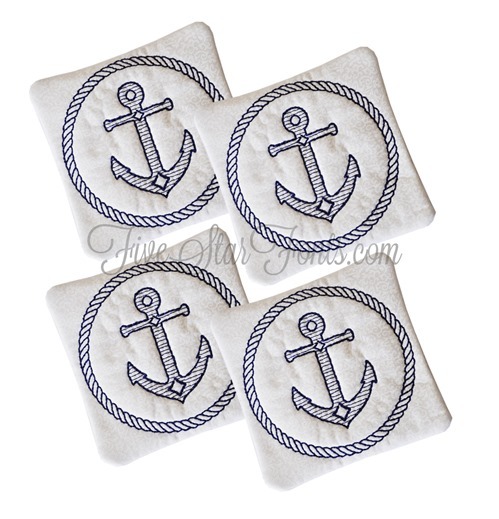 **Additional files included to stitch 2 coasters at a time with larger hoops (color sorted so quick to stitch) If you have a really large hoop we also include a file to stitch 4 at a time in the 4x4 size! Finally, an in the hoop design you can make for the men in your life! Perfect for a Man Cave, Christmas stocking stuffers, Craft Shows. 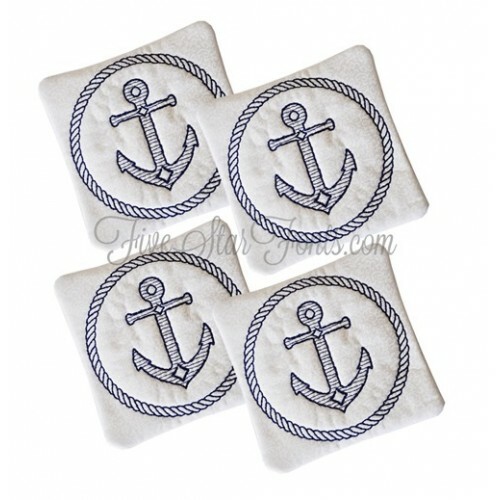 Put them in your nautical themed room and they will be right at home. Fun, Fast and Easy, perfect for those new to in the hoop or for the seasoned pro. 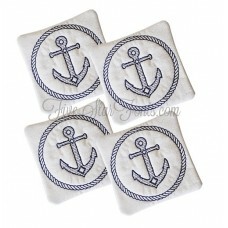 ** Stitch 2 at a time with larger hoops - 6x10 stitch two 4 inch coasters. 7x12 stitch two 4.5 inch coasters. 9x9 hoop stitch four 4 inch coasters. ** Digitized so the coasters are 'sweat proof' - they won't allow water through them so you don't mess up your table.